Your enjoyable escorted China tour starts with our helpful pick-up service. Upon your landing at Beijing airport, our guide will greet you outside the customs area, and then transfer you to the hotel in a clean and comfortable vehicle. The remainder of the day is free for you to refresh from fatigue after a long journey. After breakfast, you will meet with your fellow group members in the hotel lobby and then set off for today's visit. The first destination will be Tiananmen Square, the largest city square in the world. Then follow your guide to enter the Forbidden City. The halls with flying golden roofs and red walls, carved dragons, and lion statues in the palace reveal the past glory of the fallen imperial family. To avoid the cheap and low quality tourist restaurant, we specially serve you an a la carte welcome lunch (valued at CNY150.00 per person and included in our price) at a famous restaurant to taste authentic Chinese cuisine. Don't forget to order the yummy roasted duck. In the afternoon, continue your visit to the Temple of Heaven, the imperial altar for the emperors of the Ming (1368 - 1644) and Qing (1644 - 1911) dynasties to worship the god of heaven. This evening, enjoy a sensational Chinese Kung Fu Show at the Red Theater. 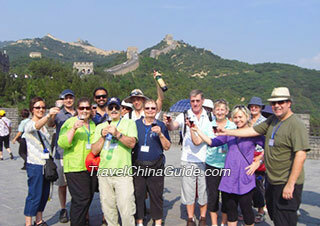 The morning's excursion takes you to Mutianyu Great Wall, one of the world's wonders. Constructed in the Ming Dynasty, Mutianyu is one of the best preserved sections, with spectacular surrounding natural scenery. The wall, dotted with beacon towers, stretches along mountain ridges for miles, resembling a huge flying dragon. We arrange for you the roundtrip cable car to reach and descend the wall. Restaurants nearby are of low quality, so we do not arrange lunch. We suggest that you have a big breakfast and have some fast food for lunch by yourself. Your guide will be also glad to provide you with advice. 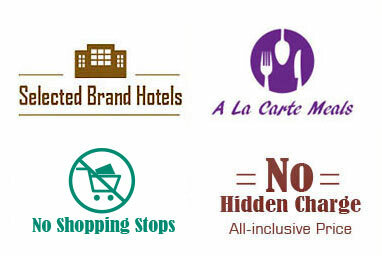 We will then drive you back to the city to enjoy some free time at a featured local market. You will also have a stopover for nice photo shots at the Olympic National Stadium (Bird's Nest) on the way..
Today's visit starts with the Summer Palace, the largest and best preserved imperial garden in China. Constructed on the natural scenery of Kunming Lake and Wanshou Hill in the Qing Dynasty, the garden is a perfect combination of landscape and imperial palaces. Next you will have a Hutong tour by taking a ride on a rickshaw. Hutong means narrow alleys in Beijing's old blocks. The traditional courtyards, local culture and history and normal people's life, all that is what we want to show you here. There is also a chance to experience Chinese paper cutting. After an a la carte lunch (valued at CNY150.00 per person and included in our price), you will take an afternoon high-speed train for around 4.5 hours to reach Shanghai. Our local guide will meet you at the train station and take you to the hotel. An entire day trip will show you a versatile Shanghai. In the morning, you will get a general knowledge about the history, culture and development of this city in Shanghai Museum. Then proceed to Yu Garden, a classical Chinese garden with a history of more than 400 years. In this garden, you will see traditional Chinese buildings with beautiful carvings and decorations, and artistic artificial hills and clear ponds with stone bridges. There is also a traditional bazaar near the garden. Around noon, an a la carte farewell lunch (valued at CNY120.00 per person and included in our price) will be served at a popular restaurant. 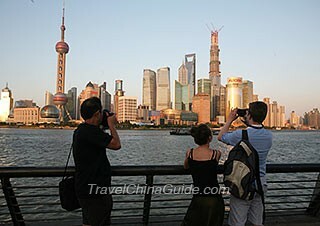 Then continue on to visit the Former French Concession and the Bund area, where you will also take a one-hour cruise tour along the Huangpu River. Upon returning to the hotel, our guide will see you into the lobby and bid you bon voyage. Airport drop-off is not included today. Please find your way to the airport for your homebound flight. You can choose to take a taxi to the airport. We wish you a nice trip home. We had a wonderful time. Thank you so much!!!! Everything worked out great. We were very happy with the two guides we had: Tony and William. We had a great time with them. They really gave their best. I hope to get another opportunity to come to China. So far so good, good communication so far. We returned from the 6-day trip. With regard to the service we received from this company it was very good and we are quite satisfied. In particular I want to mention our guide in Beijing Miss Lydia who was especially dedicated to make our tours and staying in Beijing, very nice and increasing our knowledge, culture and admiration to China and their population. I transmit this greeting to all the people who gave us the tour service in Beijing and Shanghai. IS IT TRUE THAT I VISIT CHINA FOR SIX DAYS WITHOUT A VISA? 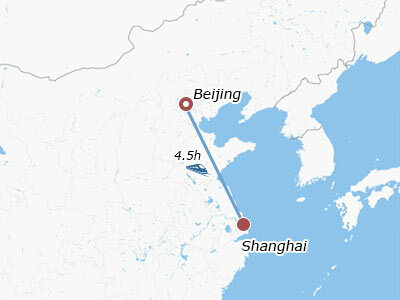 What is a typical cost of traveling from Airport to Deshengmen? I am trying to determine if its worth paying the difference between a taxi and bus? The taxi fare is around 80-90RMB. If you take public transport, you can take airport express to Dongzhimen and change to metro line 2 to Jishuitan. Leave from Exit B2 and walk east for 5mins to Deshengmen. 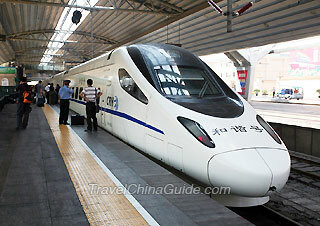 The fare is 28RMB in total. we are booked at city inn hotel beijing. how do we go to capital airport ? how much is taxi fare ? I guess you refer to the happy valley branch, right? Well, if taking a taxi, the fare can be CNY100 or so. To go by public transportation, you can take subway line 7 from Happy Valley Station to Guangqumen Inner. There you can transfer to shuttle bus line 7 to the airport directly. I want to visit Beijing for 2 days only. what is the best option of transportation? can I use smart card? can I return it at the railway station when I leave? is there delegates there? Yes, you are suggested to buy a smart card and don’t worry, it can be returned at BJ Railway Station. You just need to pay for the deposit and it will also be returned.